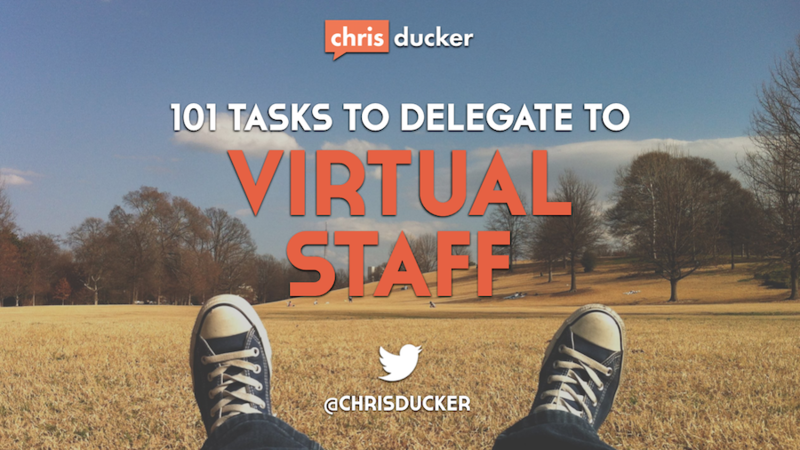 One of the biggest misconceptions of working with virtual staff is that one employee can do everything for you. I call this the ‘Super VA Myth’, and I’ve busted it over and over again! It’s just not possible. Not in the real world, and not in the virtual world. In order to effectively use virtual assistants to grow your business, you need to hire for the role, not the task. Something that I say all the time. That means building a team. A team that will work together to achieve what you’re aiming for as a business owner. It’s important to acknowledge and appreciate that no one person can handle all of these different roles. It’s about using what you’ve got at your arsenal, to get what you want out of your team building and outsourcing. So, let’s begin with a look at the one person that I feel every single entrepreneur on the face of the earth should have at their disposal – the General VA (GVA). This is that one person that you can lean on to help you, day to day, more so than any other employee. They are true time savers – and therefore, as an entrepreneur, they’re your life savers, too! If you don’t have one on board in your business yet – get one now! One of the biggest time-suckers in the land of entrepreneurship is email. Before I actively took it upon myself to remove myself from my business and become a Virtual CEO (listen to the full story in episode 16 of my podcast), I was trapped in Outlook for up to 7-hours a day. It was madness. Working with a GVA to handle your email, as well as things like your calendar is essential to becoming more productive as a modern-age entrepreneur. 4. Sending of Greetings eCards, Event Invitations, etc. We live in a world of flashing lights, buttons and other things that distract us consistently throughout the course of our working day. Being organized is about as important as being productive. If not more. VA’s can help you systematize and put processes in place to help your business become more organized. I’ve talked about how VA’s can manage your blog, as well as how VA’s can help with the marketing of your blog before – however, there is so, so much more your GVA can do for you when it comes to additional admin tasks, and generally helping you, day to day on the managing of projects, and your marketing efforts. The use of virtual staff in audio and video production is still a little new – it’s only just started to emerge over the last few years. However, I can tell you (from personal experience) it’s created a ton of additional time for me. Not having to edit my own videos (even in a basic way!) has enabled me to spend more time developing my content, instead of worrying about the details. The same can be said for my podcasting. Plus, the end result is just way sexier to look at (see below!). Outsourcing your content is not something I suggest you do often. Especially if your brand is attached to it. However, if you’re doing a lot of online marketing, especially if you’re involved with niche site creation and promotion, or even bigger, more authoritative sites, it pays to save time on creating all that written content, by teaming up with a good selection of virtual writers. The SEO (Search Engine Optimization) world has changed drastically over the last couple of years. What used to work doesn’t anymore. And what works today might not work so well tomorrow. However, create solid content and you’ll be off to the races immediately. But, what happens after you’ve marketed and promoted your new blog post, or podcast episode via social media? The storm calms down, right? Having a solid SEO / Web Marketing VA in place will enable your content to be positioned and marketed in a way that will bring in consistent, long-term traffic. Tinkering around in Photoshop is a massive waste of time for every entrepreneur that doesn’t know what he / she is doing. We do it though, right? We love the idea of letting our Superhero Syndrome take over and we believe that we can do everything – including graphic design. Please – c’mon people… Pay those that truly DO know what they’re doing, to do it right the first time – not only will it look better, but you’ll be able to spend time on a marketing plan, or putting together your next info-product! When I launched my first blog in 2009 it was a mess. And here’s the kicker – I had purchased a perfectly good looking premium theme, and then spent the best part of 3-days ‘customizing’ it (and I use that term as loosely as possible, trust me!). The result was what you could probably imagine from someone with no coding experience – a catastrophe! While you’re putting together content plans and a publishing schedule for your site, get a super-skilled Web Developer VA to handle the coding and customizing side of things for you. It’s just plain smart! As you can see, the list of tasks that virtual workers can handle for you is about as diverse as the roles that are available at our disposal as business owners. The fact is that working with VA’s has gone far further than most people ever thought possible. It’s more than just filtering email and managing your social media (although thats covered, too!). It’s about business growth. It’s about waking up and understanding that, as business owners, we shouldn’t be doing half the stuff that we are doing on a day to day basis! I hope this list serves as a bit of a spring board for some of you yet to take the VA plunge, and perhaps a ‘go to’ source of additional potential, for those of you that are already utilizing the power of virtual staff in your business. Was this list helpful? Would you like to see more posts like this? Got some tasks not listed here you’d like to share? Please comment below!